Nicknamed "the Great White Shark," Australia's Greg Norman spent 331 weeks as the world's number-one ranked golfer in the 1980s and 90s. He won THE PLAYERS tournament in 1994 in record-setting fashion, scoring a 264. That is 24 under par. 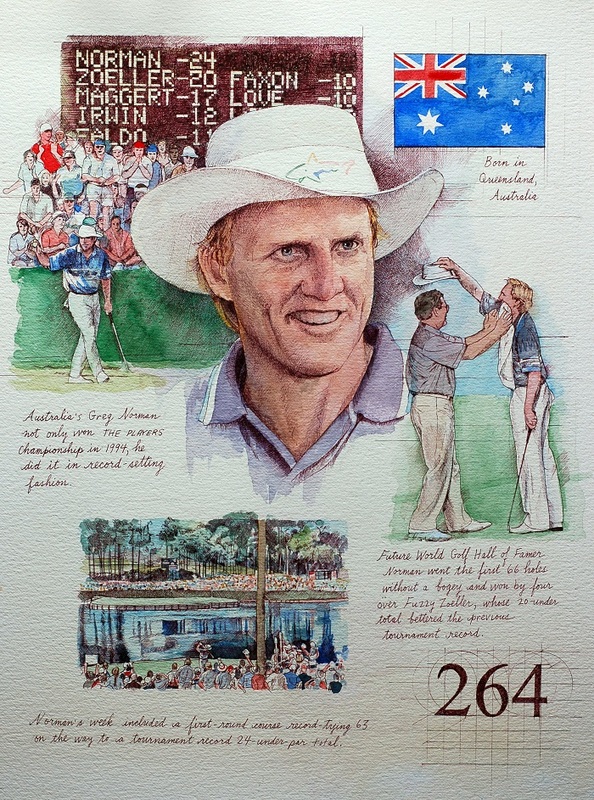 I was proud to draw Greg Norman in his signature white cowboy hat.